Today I welcome back crime writer Les Roberts. Les Roberts is the author of 17 mystery novels featuring Cleveland detective Milan Jacovich, as well as 11 other books of fiction. The past president of both the Private Eye Writers of America and the American Crime Writer’s League, he came to mystery writing after a 24-year career in Hollywood. A native of Chicago, he now lives in Northeast Ohio and is a film and literary critic. Roberts’s newest book, Win, Place, or Die, is available at Amazon.com, BN.com and other online retailers, in both print and eBook editions. Les Roberts blogs at: LesRoberts.com. Read a sample chapter here. Every single piece of fiction, from pre-"Oedipus Rex" to post-"Harry Potter," has to take place somewhere. Even if the author creates a fictional setting, it has to be real to the reader---to come alive and be vivid and truthful. 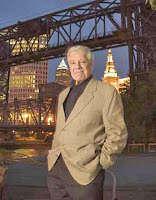 All seventeen of my mystery novels featuring Slovenian-American private eye Milan Jacovich are set in and around Cleveland, Ohio. That's where I've lived for more than two decades; that's the place I know best. I suppose I could write about somewhere exotic that I've never visited, like Bora Bora or Timbuktu or Sofia, Bulgaria---but then I'd have to create these place from memories of all those films in the 50s and 60s (most of which were filmed in Hollywood anyway) and they just wouldn't FEEL right. My latest Milan Jacovich novel is Win, Place or Die. 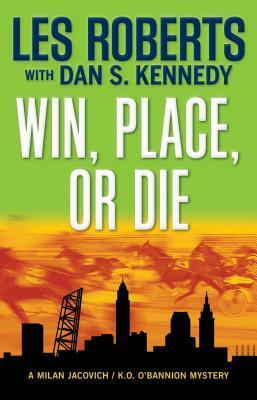 The main setting is a harness racing track in a Cleveland suburb, and I confess that before beginning this book, my only race track experience was visiting one perhaps five times in my life and wagering no more than five bucks on any race. But for research, my collaborator on this book (first time I've ever collaborated with ANYONE), Dan S. Kennedy, was kind enough to invite me "backside," where customers never go but where the horses are all cared for, trained, fed and very often LOVED by the grooms and trainers who might as well live back there and never stick their noses beyond the barns. I got to travel the long length of the barn with a bag of baby carrots so I could feed each one of the horses, and more importantly, to hug and nuzzle with them. I was amazed at how feeling and emotional horses are. One of the guys actually laid his huge head on my shoulder and soulfully sighed into my ear, so glad was he to meet someone else who obviously loved him, too. I also learned a great deal about the mechanics of harness racing, and got to ride around the track several times aboard a "jog cart." 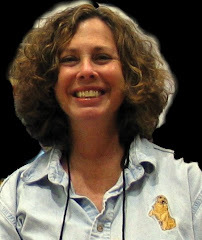 I also talked to many of those whose lives revolve around the animals and the sport. It was an exciting experience, and again, I labored long and hard making the track---both the sections where customers can hang out, eat, socialize, and of course bet, and "backside" which gave me much of the "meat" for the book. I find I relate the most to mystery novels painting astonishing pictures of the places being written about. Nobody knows Boston better than Dennis Lehane. Sara Paretsky is even more comfortable in my birth town, Chicago, than I ever was. Karin Slaughter's works in the suburbs of Atlanta make that area gripping for me. And Lawrence Block OWNS New York City. My next book, now finished, is NOT about Milan Jacovich, but a sequel to The Strange Death of Father Candy, a book I wrote in 2011 which was set completely in Youngstown, Ohio. The new book is set all over the place (in the late 20th century) in Philadelphia, Indianapolis, Muncie Indiana, Chicago, Denver, New Orleans, the mountains of North Carolina, the Atlantic Coast of Florida, a jungle town in Costa Rica, and in Saigon. My only regret is that the novel is not long enough for me to make the reader feel comfortably at home in all those places. Now that the Father Candy book is complete, I'm currently 20,000 words into my NEXT Milan Jacovich novel and I feel once more that, on these pages, this is where I belong---in Cleveland.